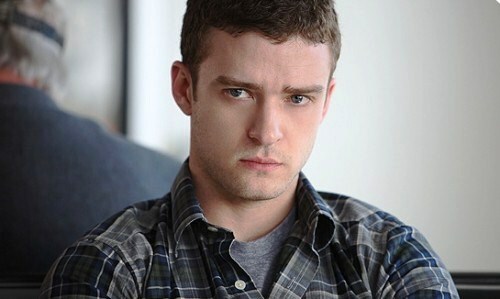 According to TMZ, Timberlake has issued a formal apology for the “distasteful” wedding video that hit the Internet this week — seemingly mocking homeless people — and he’s so serious … he’s forcing the guy who made it to do community service. I neva like him ( in my best tony montana voice)…he has always been a lil piece out shyt. Sold janet out. Regardless when the video was shown, it was so not funny and in very poor taste>> Did the person who filmed the vid issue an apology also????? that so called weding pic with Justin jumping up in the air is so stupid and corny. It’s quite telling that something like this would even occur to him to show at a wedding. Redneck POS! Mmmhmmm, whatever !!!! Kick rocks, you little s***. Can’t stand him. And…if this had been recieved as a “hit”?, this lil bytch azz wouldda giving a fkn…”Oscar acceptance” speech, complete with a GD “behind the scenes” segment. Yo….either YOU did the shyt or the people YOU hang around/YO FRIENDS WHO KNOW WTF YOU FIND “FUNNY” did the shyt! Eithah waaaaaaaay (Katt Williams style!) you’z STILL a li lying busted bytchazz, who is STILL fkn over people “you” think don’t deserve…respect! 1st Janet Jackson & now….the homeless. GTFOH & GSADFRBAMF! Ps…..And…Black radio bet NOT play his shyt, anymore, & Timbo (& the rest!) bedda “cancel” this lil bytch azz opportunist! I can’t stand this wanna be. He’s known for throwing preparation under the bus. I don’t even know why his Black card haven’t been revoke as of yet.